Three of our best selling teas are come together to revitalize your health and spirit. This combo is absolutely first of its kind. Peppermint Tea - Another name for a revitalizing change, this is the perfect tea for those who buy caffeine-free tea. Carefully picked mint leaves impart a smooth, yet wholesome aroma while every sip gives a rejuvenating rush to the body and mind. Chamomile Tea- A three minute simmer is all that Chamomile flowers need to release their sublime influence on a bad day. Buy Chamomile Tea to let the relaxing quintessence of the sweet flavoured tea help your body unwind. Kashmiri Kahwa Green tea - Kahwa is the perfect beverage. A blend of Cardamom, Ginger, Cinnamon, saffron with natural green tea immediately energizes you. 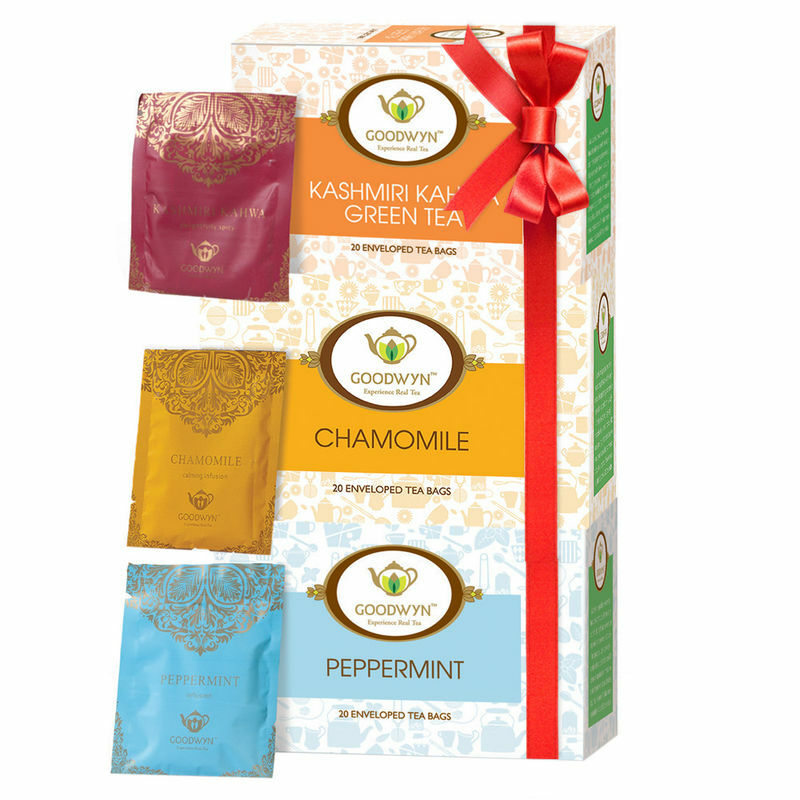 Buy green tea online blended perfectly with Kashmiri Kahwa while it works miracles with its variety of health benefits.